I notice the app calculates the calories I burn for steps, but then when I input my exercise for the day, the calories burned for steps goes away. Is there a way to keep both tracking throughout the day? What is syncing your steps to MFP? A lot of the trackers are NOT giving you extra calories for steps, but for burning more calories than MFP thought you would burn based on your activity level setting. 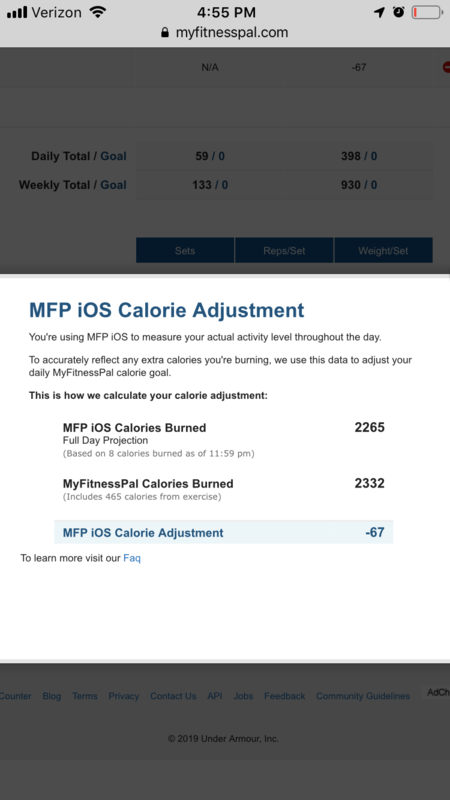 When you log exercise on MFP you increase the amount of calories it thinks you have burned and as a result your tracker adjust can become smaller or even subtract some of those calories. Let’s say MFP estimates 1680 calories burned based on activity level setting. Your tracker says based on your activity you are on track to burn 1880 for the day. 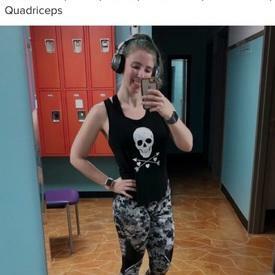 Now let’s say you logged exercise on MFP with a burn of 300. 1980 is now what MFP thinks you burned. 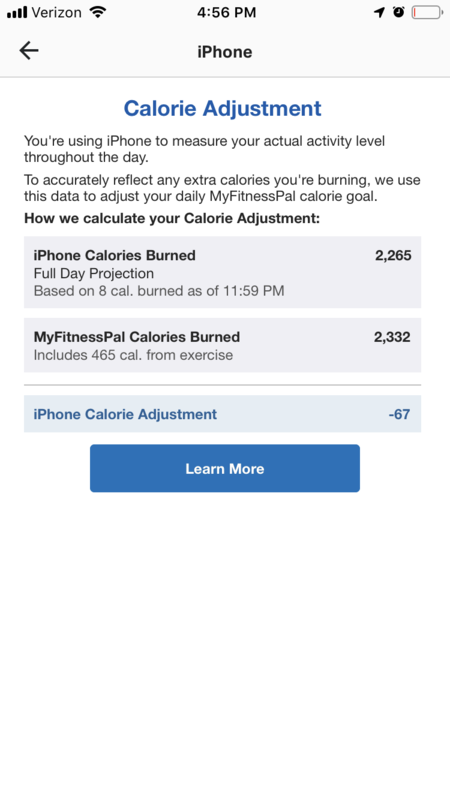 So now MFP thinks you burned 100 calories more than your tracker is estimating. If you don’t have negative adjustments enabled you will see “0” extra calories from the tracker. If you have negative adjustments enabled you will see “-100” calories (unless that would take you below 1200 calories). 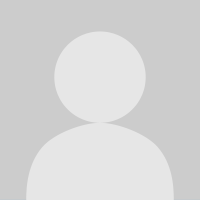 I'm using the MFP tracker. It adds calories burned throughout the day, right now it reads 5,180 steps and 110 calories burned. When I enter my workout later, the 110 will disappear and only the 300 calories I enter for my workout will show. Shouldn't it read 410? No. MFP is pulling those steps from somewhere (your phone I’d guess) and if it isn’t getting a calorie estimate from the device for those steps it will assign its own.